This week I am reviewing and introducing you to another good wine that is rated at 90 points or higher and sells for under $20.00. 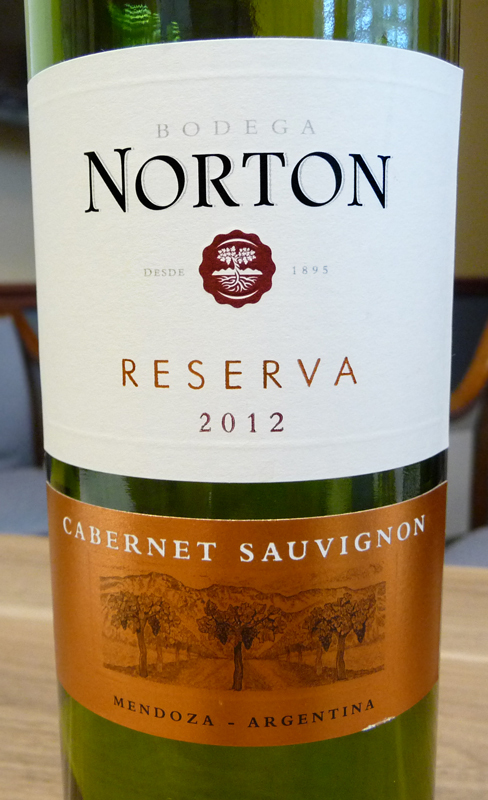 The 2012 Bodega Norton Reserva Cabernet Sauvignon is an Argentinian wine produced by the Bodega Norton vineyard in the Mendoza region in Argentina. 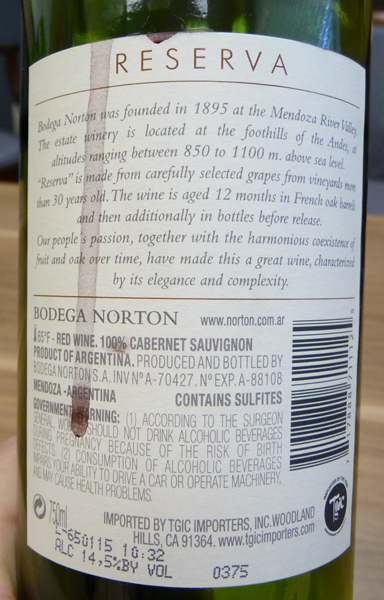 The Bodega Norton winery was founded in 1895 by Edmund James Palmer Norton and is one of the strongest Argentinian brands sold in the U.S. today. Bodega Norton has five vineyards whose vines average between 30 to 80 years old. 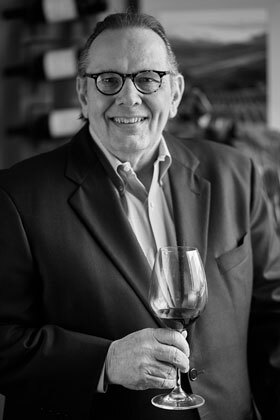 Since 1992 Jorge Riccitelli has been the chief winemaker at the Bodega Norton winery. Riccitelli is the first Argentinian to win Wine Enthusiast magazine’s “Winemaker of the Year” award in 2012. He is the second generation of his family to work at a winery. His father worked at a Mendoza winery as a mechanic. As Jorge Riccitelli grew up in the wine industry, it makes sense that he to would devote his life to wines as well. Cabernet Sauvignon is one of the most famous red wines in the world. It is certainly my most favorite red wine. It had its beginning in the Bordeaux region of France and has spread to every other wine growing region in the world. As I have discussed in past blog articles it is certainly now the number one grape variety in Napa Valley and is driving the growth of the wine industry in that region. There is more demand for Cabernet grapes in Napa than there are Cabernet grapes. Wherever the grape is grown it always seems to have a handful of common characteristics: deep color, good tannin structure (which helps the wine age well), moderate acidity and aromas of black fruit, dark spices and cedar wood. 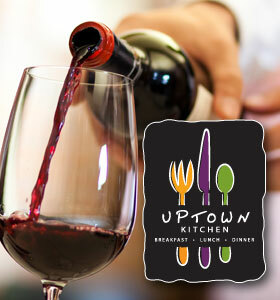 Cabernet Sauvignon is a great blending wine as well as a varietal (Cabernet only wine) wine. Cabernet Sauvignon blends well with Merlot, Cabernet Franc and most commonly with Malbec, Petit Verdot and Carménère. These five wines are the ingredients of a classic Bordeaux Blend. In Australia it is blended with Shiraz and in Spain and South America a Cabernet Tempranillo blend is common. This wine is a high value wine for its cost. I purchased the wine at the Chalet Party Shoppe in my market for under $20.00. The wine was awarded an impressive 91/100 points by Wine Spectator, 90/100 points by Wine Enthusiast and 90/100 points by Wine & Spirits magazine. The wine originated from a region in Argentina called “Lujan de Cuyo” widely considered by some as the “prime zone” for growing grapes in the Mendoza Province. The wine is 100% Cabernet Sauvignon and was aged in French oak barrels for 12 months before bottling. There were 20,000 cases made. Like a majority of Cabernets, this wine was a little tight out of the bottle. It would benefit from about 20 to 30 minutes of decanting prior to tasting. It did however start to open after about 10 to 15 minutes of time in my wine glass. The wine was deep red in color and had aromas of dark fruit on the nose, particularly dark cherry. On the palate the wine was fruit forward with hints of licorice and a bit of forest floor. The wine was relatively well balanced with mild tannins. The finish was long and a bit spicy with hints of chocolate. 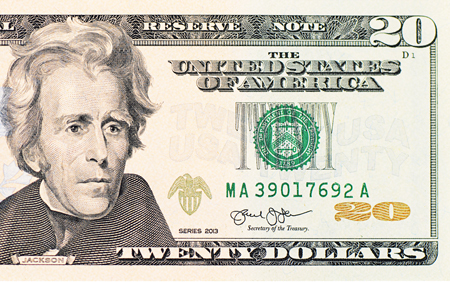 This wine should drink well through 2020. If you are looking for Friday and Saturday night quality at a weekday price this Reserva Cabernet fills the bill.